Will they be able to rescue Aoléon’s parents and save Earth from invasion? Read part 5 to find out! I looked forward to another visit with Aoleon and Gilbert in Aoleon, The Martian Girl - Part Five. I have enjoyed reading this entire series (thanks, iRead Book Tours and Brent LeVasseur!). This is the first science fiction series I have enjoyed. These books are so much fun. Part Five concludes the Aoleon series. 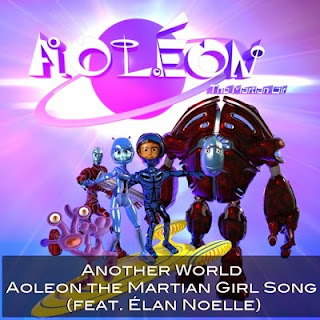 Aoleon and Gilbert have grown in strategy and courage, and they face their biggest challenge yet, as they work with their friends to save Aoleon's parents and also stop an invasion of earth. The descriptions and details in this book are vivid and interesting. Crystal formations are compared to rock candy. Tiny lizards appear out of nowhere. The underground base has tunnels and chutes and many surprises. Gilbert is fascinated by the holographic shapes that Aoleon creates with psionic energy: "Through the darkness of the voice, an orb of pulsating white light formed and hovered in midair before them, illuminating the entire room. A steady humming tone resonated from within. Forces of light manifested themselves in various three-dimensional geometric shapes, each with its own corresponding musical tone." The illustrations are colorful and vivid. They add a lot to the story, and are best seen in color. I like the spectacular scenes on Mars, but I also like the detail of faces and expressions. I have really enjoyed seeing the storylines and characters develop over the series of five books. As the characters matured, the challenges they faced became more intense and required more courage. The books are well written, with a nice mix of dialogue and description, and they move quickly. 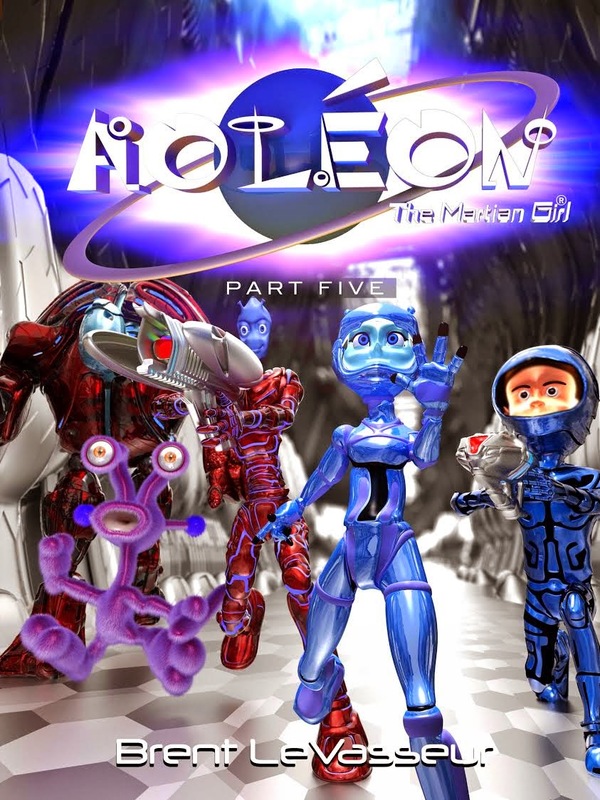 I think all the Aoleon books, including this last book in the series, will appeal to young readers. I received a copy of this book from iRead Book Tours in exchange for an honest review.